2 Man Power Post Hole Digger. Each operator has on/off control for safety. 4.5 hp Honda Gas Engine with centrifugal clutch. 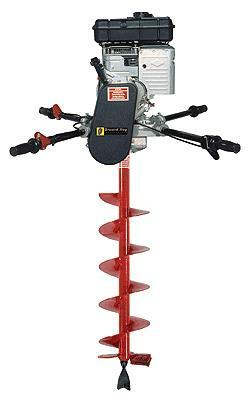 8", 10" or 12" augers available. Digs to 32" deep. 1 ft or 2 ft extensions are available.